Dark brown: Warm, rich, dark brown stains make a bold statement in any home and can provide a striking contrast to the current trend in white cabinetry. Grey: This neutral and calming floor colour continues to gain popularity this year and we will probably see this trend for a few years to come. 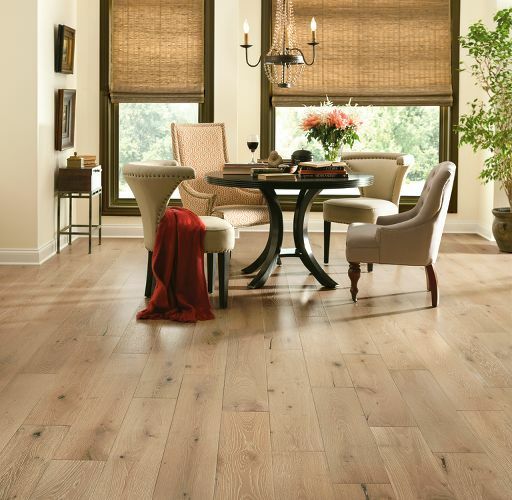 Blonde: Light wood, such as seen in bamboo flooring, is making traction this year. Light floors can make rooms look open and larger. Another bonus is light colours can hide dirt easier than its dark counter! Finish: And again, the trend in matte finishes continues. Gone are the days of the shiny, polished wood floor. Right now its all about a more rustic and authentic look. Texture is in, so that means hand scraped an wire brushed finishes. These finishes give a natural appearance to hardwood floors and enhance the woods natural grain. Diagonals, herring bone and chevron patterns are seeing a boost in homes this year. Cost of materials and installation can be more expensive than with the traditional patterns, but it can create an interesting look for those willing to pay a little more. Fitting in with the trend of a natural and rustic looking flooring, wide (and long) planks are in. These planks give a modern look to rooms and can make them appear larger as well. This trend will be around for a long time to come. Engineered Hardwood: Compared to hardwood, this type of flooring is more environmentally friendly and more stable in wide plank format, especially in our Canadian climate of fluctuating temperatures and humidity. Bamboo & Cork: Both of these flooring types are eco-friendly and gaining in popularity because of this as well as their light colour and natural organic look. 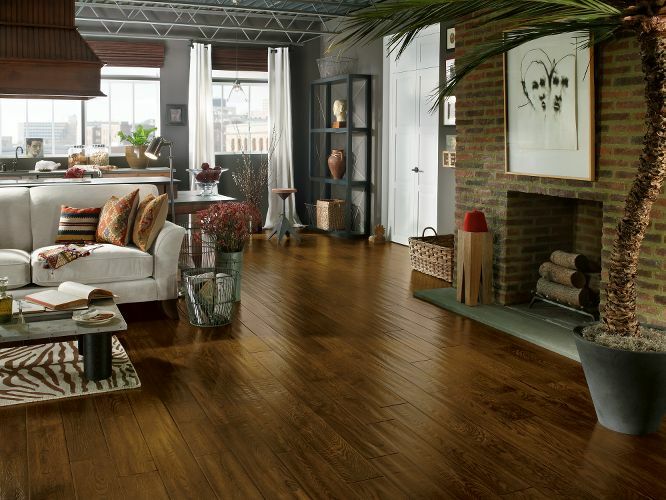 You can find all the latest trends in flooring at any one of our three locations. 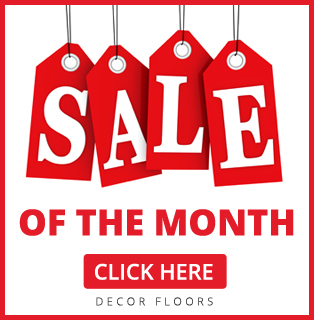 Decor Floors in Toronto, Mississauga and Brampton offers quality name brands and expert staff to assist you in making the best flooring choice for your home!